This is one of the most common questions asked in an MBA interview. It seems like a straightforward, simple question, but have you taken the time to ask it yourself? If you have, then you know it’s not as easy to answer as it may seem. So why do interviewers always ask this question, and how do you answer it in a way that will help you show fit, stand out, and gain acceptance to your top-choice business school? Here is what our MBA admissions experts have to say. What Is the Reason for Asking This Question? 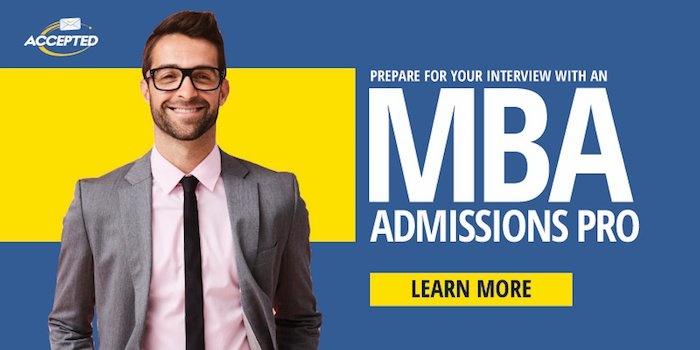 The interviewer wants to make sure your reasons for getting an MBA match up with what the MBA degree will provide you. How Do You Prepare Your Answer? Coming from almost any function, the likely answer to the “Why MBA?” question is that you have a significant amount of depth in a particular field (marketing, finance, IT, engineering), but in order to break free of being labeled as simply a subject matter expert, you need more breadth. Most people look to get an MBA in order to move into a management role or to change fields. To succeed in management, you need to have an understanding of all functional areas of business, from finance to operations to technology and more. An MBA degree provides the toolbox you need to succeed in management in the shortest amount of time. For career-switchers, a full-time MBA program provides one of the best opportunities to make that switch. It gives you access to critical coursework, training in “soft skills” and leadership, the all-important summer internship, and more. This is not meant to be a “gotcha” question, and you should in no way feel threatened by it. The interviewer simply wants to ensure that your expectations for the MBA are in line with what the program delivers. They want to know you are realistic. There is no doubt that adding an MBA degree to your resume will bolster credibility and prestige. You want to make sure you don’t come across as someone only interested in an MBA degree because of the pedigree. That is a big turn off. You must be transparent about your MBA aspirations. Your answer must be meaningful, credible, engaging, and of course, genuine. It must clearly explain to the adcom how an MBA will help you achieve your goals. If you want to prepare for your interviews — and reduce your stress levels — take a look at our Mock Interview Package. This comprehensive package includes a 20-30 minute mock interview, feedback and suggestions for improvement, and expert strategies and tips for your interviewing school. Since many applicants possess a similar academic background, GMAT score, and GPA, you must find another way to stand out, and that’s through your personal background essay. In need of other consulting services? View our full list here! Jen Weld is a former Assistant Director of Admissions at Cornell’s EMBA program. She has an additional 10 years of experience in higher ed and corporate marketing. 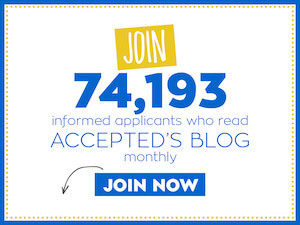 Want Jen to help you get Accepted? Click here to get in touch!